With vibrant colors, an intensely personal style, whimsical borders and a touch of fantasy, KIM MCDONALD’S oil paintings capture the exotic island spirit of the South Pacific. 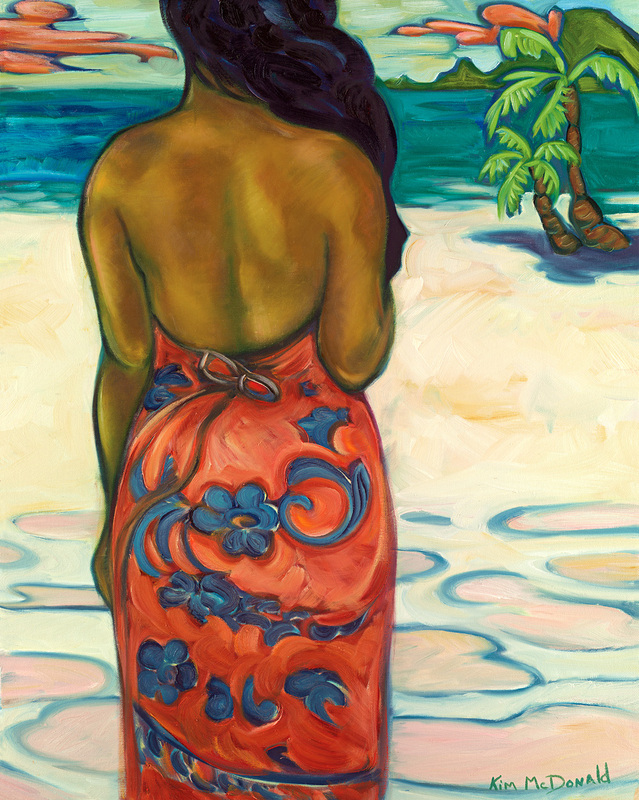 Her art accentuates the ever-changing moods of island weather, lush foliage and the deep sensuality of the Polynesian people. Kim divides her time between Kaua‘i and Maui. View her work at Kim McDonald Art Gallery in Hanalei. She is also the featured artist at the Beach House Restaurant in Po‘ipu. Discover more of Kim’s artwork online at: www.kimmcdonald.com and www.facebook.com/KimMcDonaldArt. Studio appointments on Maui welcome.